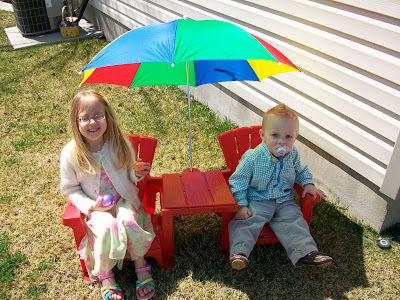 The Easter bunny brought them this cute set. I love this picture of Keaton carrying his loot inside. 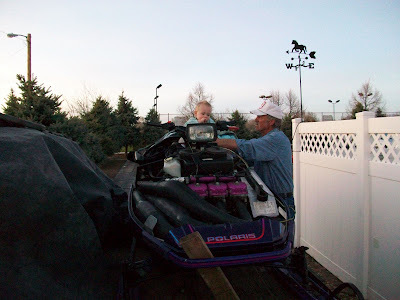 Keaton and grandpa practicing snowmobiling! I hope everyone had a fun and happy Easter! 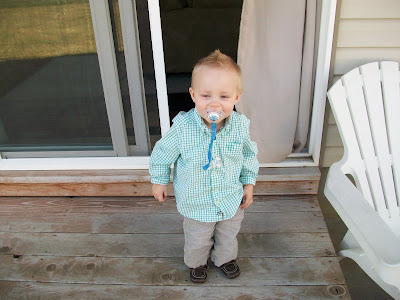 We had a wonderful Easter this year. On Friday night we went over to the Steeds and had a lot of fun coloring eggs. Saturday was my family's Easter egg hunt. My parents did an excellent job as always and we had the first hot dog BBQ of the year. On Sunday the Easter bunny came to our house and Shelby was so excited. 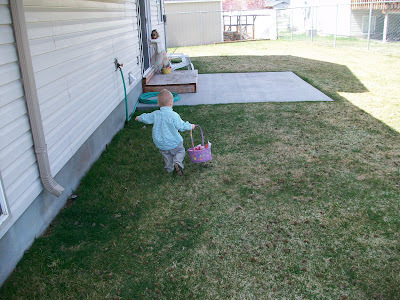 She loved running around and finding her basket and all the candy. Oh the candy, it is unreal how much we have...Anyone care for any? I love this entry...your pictures are so adorable. 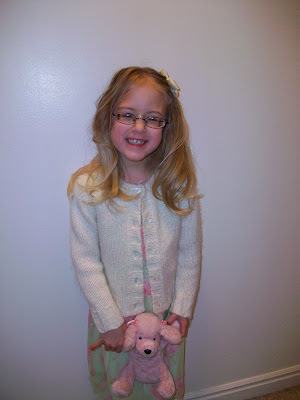 Your kids look so cute in their outfits! Looks like they had fun. Cute! 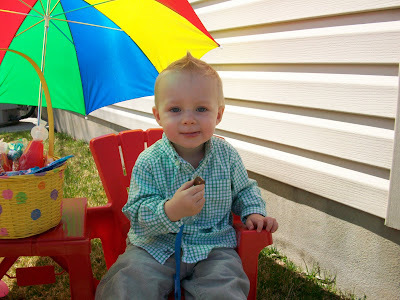 I love the little red table with the umbrella. That will be so much fun to have. They both looked cute in their easter outfits! Did you say candy? Those pictures are adorable!